We couldn’t be prouder of our collaboration with Vermont Businesses for Social Responsibility (VBSR)on their new website. We were thrilled when they selected us to work with them to build a better platform for their work and for their interactions with the busy, active membership. We worked hard to design a user friendly site that allowed VBSRers to edit the content with ease, but we also wanted to make sure that the site brought forward the many and varied aspects of the hard work the team does. 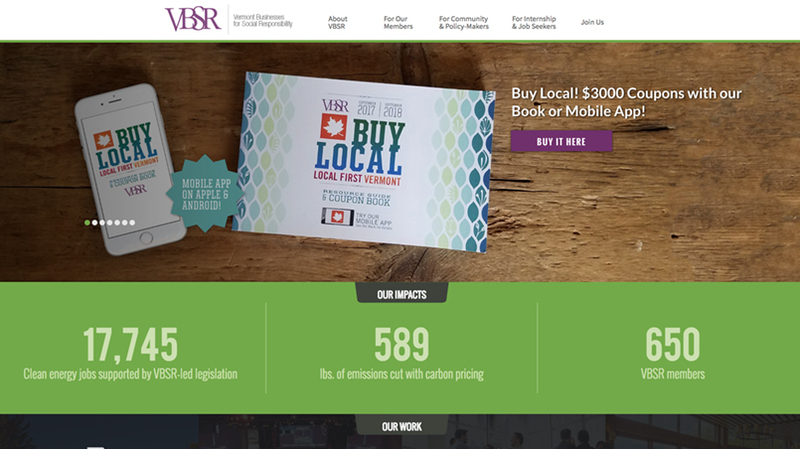 The new website integrates with a backend membership / events platform, allowing VBSR members to update their member profiles, register for VBSR networking educational events, promote their own events, post information about job openings and internships, and more. Visit the website here.